The GK Community Infrastructure Program aims to build brightly painted homes in sustainable communities for the poorest of the poor. Homes and other communal facilities (multiple purpose centers, school buildings, clinics, etc. are built through a combination of skilled paid labor and sweat equity of the GK residents themselves. The GK Child and Youth Development program aims to develop the skills and talents of the children and youth in the GK communities by inculcating values that bring out their full potential. SIBOL, which means “to grow,” provides value-based education to pre-school children, aged 3 to 6 years old. SAGIP, which means “to save a life”, is a support program for children aged 7 to 13 years old, which consists of free academic tutorials, sports and creative workshops and values formation classes. SIGA, which means “to light”, empowers teens to become productive citizens through sports, creative activities and mentoring sessions. The GK Food Sufficiency program is committed to empower the hungry and to eradicate hunger. 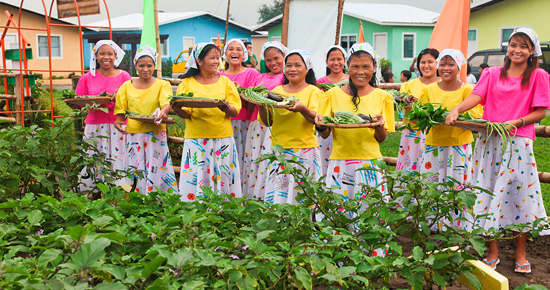 It is envisioned that each family in a community is empowered to produce their own food to augment their needs. 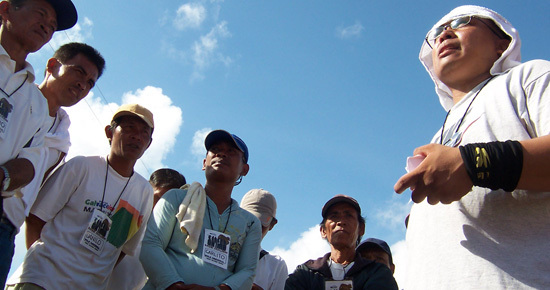 The GK Community Building program seeks to empower poor communities to become self-reliant and sustainable by building up its people, preparing their leaders and residents to eventually care for their own communities while instilling in them the heart and capacity to help other poor communities. 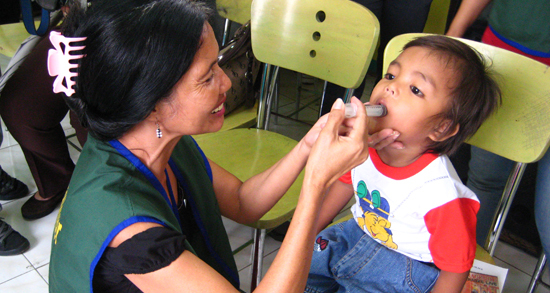 The GK Health program believes that every Filipino has the right to good health, and ensures that community health care services are delivered to those that need it the most. Volunteer doctors, nurses and medical practitioners here and abroad contribute to ensure that health profiles of GK residents are maintained, connect them to local health care centers and hospitals, and train Health Care Volunteers from among the residents who can help address the community’s own day-to-day health needs. The GK Environment program aims to create "green" model communities through its various programs to protect the environment. 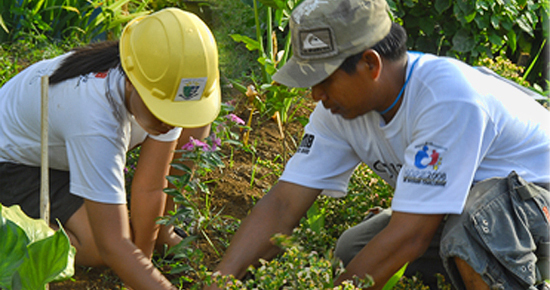 Love and care for the environment are inculcated among community members through seminars while creating environment- friendly projects like solid waste management and partnership with environment advocacy groups and government agencies. "Save the poor, save the environment. ".